These days, more and more people are going green. And not just by installing artificial turf in their yard. 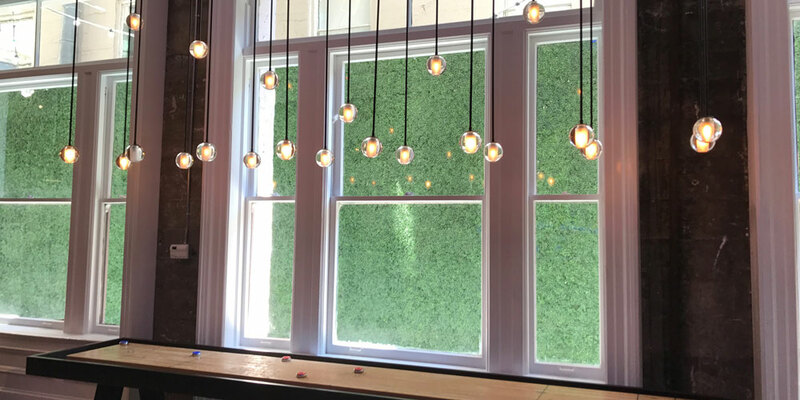 When it comes to building design, many are finding that artificial green walls or artificial boxwood panels add a layer of comfort and beauty to an area. Grass and planted-based green walls have long been used in design, but they are hard to maintain. You need to water real grass and plants. You also need to make sure you trim plants so that they don’t grow in random patterns. This can be a costly challenge. An artificial green wall, though, has the same effect as a real one without the hassle. 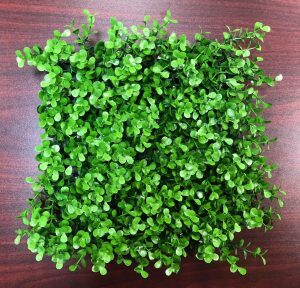 Whether you’re trying to add a sense of nature to your home or take a new approach to the design of an office space, Watersavers Turf has everything you need for your artificial green walls. You already know why synthetic grass makes for a great ground-level surface. It stands up to bad weather and stays green all year long. But you may not have known that the ground isn’t the only place where it’s useful. 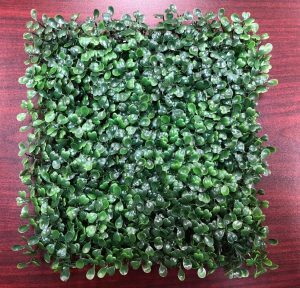 Not only can you use synthetic turf for an artificial green wall, you can use artificial ivy or artificial boxwood panels. If you like to design and decorate all sorts of spaces, this opens many doors for you. Artificial boxwood panels can be installed around an outdoor lounge area to create a private space with the look of a natural garden. Or maybe you work inside but wish that you could feel like you were outside. If so, just add light or dark green artificial boxwood panels to achieve an outdoor garden feel inside your office. Here at Watersavers Turf, we have a variety of artificial boxwood and artificial ivy options, perfect for any project. 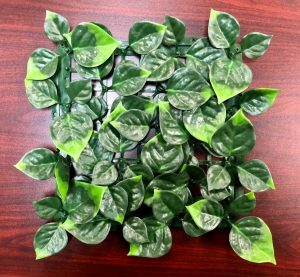 Why Install an Artificial Plant Wall? No matter what kind of building you own, a vertical garden or an artificial plant wall can make it stand out. 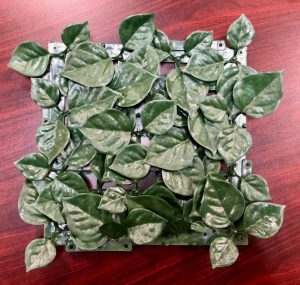 With an artificial plant wall, you’ll get the same effect as a real one without spending as much money or time on the project. 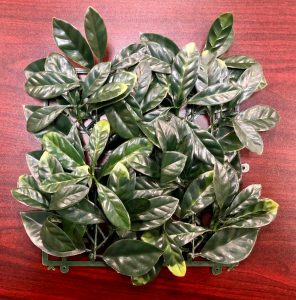 Artificial plant walls are easy to maintain, because once you’ve decided on the placement and design, there’s little upkeep required. 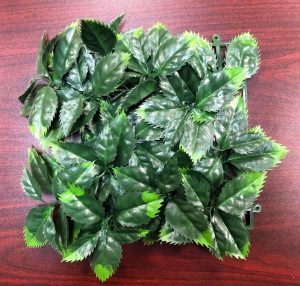 In addition, there are many reasons to install an artificial plant wall. Maybe you live in a small apartment and want to give it a sense of life. Perhaps you manage a resort and want to make an indoor space more relaxing. Or maybe you own a business and are looking for another way to attract customers. A faux vertical garden can do just the trick. To further explore the way that you could use this product, think of the types of spaces you live or work in that could use some added color. If you own a home, you could put in an artificial plant wall to make it more peaceful. If you manage a hotel, you could install artificial boxwood panels at a bar to help attract more guests. Even an office is a great place for an artificial plant wall. Workers tend to feel more alert and happy when their workspace provides them with a sense of comfort. If your office is looking a bit dull, a fake green wall can make a big difference. To find out more about how you can use these products, head to one of the SF Bay Area locations to see samples of Watersavers Turf. We’ll walk you through your options, so you get exactly what you’re looking for. You can also call us at 844-974-8873, or contact us online for a free estimate.